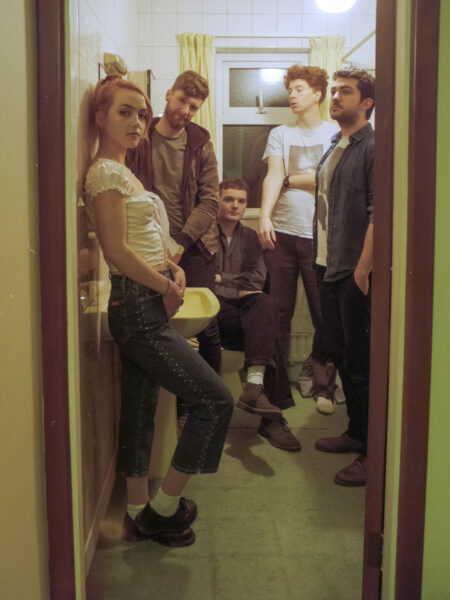 Just Mustard are an enigmatic and experimental group from Dundalk, Ireland – who with new single ‘Frank’ explore the conscious and unconscious mind and the foreboding blur between them. As the white noise that pervades the track embodies the piercing light of a screen invading darkness, Katie Ball belts out her words like a ritual, seeping into the uncompromising and uninterrupted anxiousness that dwells nightly. It’s uncompromising in its conciseness, Ball laconic and startling in her unwavering repetition of the brazen refrain. The stop start mechanics of the rhythm only intensifies the isolating mood, before crashing head first into a wave of polarising cymbals and feedback that could be the most liberatingly destructive union we’ve heard so far this year. The 12” vinyl is now available to pre-order HERE. Just Mustard have also announced their first London headline show at Off The Cuff in Herne Hill on 19 April. Tickets are available HERE.